We’ve loved the UK anthology show Black Mirror, and we’re excited to see more episodes coming in the near future to Netflix. While we wait, the Christmas episode has appeared on Netflix streaming, and it’s a creepy one. The latest episode in Charlie Brooker’s show aired in 2014 originally, but you can now watch it on Netflix. This episode is really three separate episodes stuffed into one larger one - it’s a really cool narrative trick that they pull off here, and it’s one of the reasons why the show is one of the absolute best. 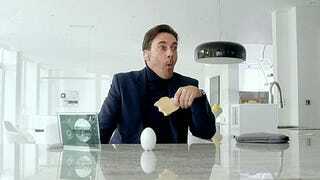 The episode opens with Jon Hamm and Rafe Spall in a remote cabin. They’ve apparently been there for five years and rarely spoke. 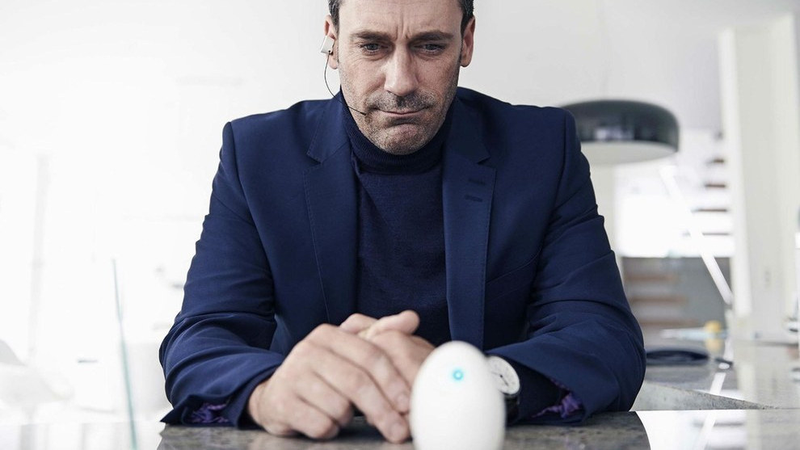 As Matt (Hamm) tries to get his companion to talk, he goes into his background - he helped implant a device that essentially copied a person’s personality and stuck them into a machine. In the first story, Hamm copied a woman’s mind and used her as the operating system for her house. Then, it gets really creepy. To motivate the copy, he manipulates time. When she was first uncooperative, he let her sit for a month (just seconds for him), then six months. After sitting with nothing to do, she was more than ready to comply. In the next story, Potter (Spall) opens up, and talks about how he and his girlfriend split up, and how she blocked him. Because of the implants that he had in his eyes, he couldn’t actually see her - or her child. The two stories come together in brilliant way, one that left me speechless by the end. New episodes are expected to come sometime later this year. White Christmas can now be streamed on Netflix.